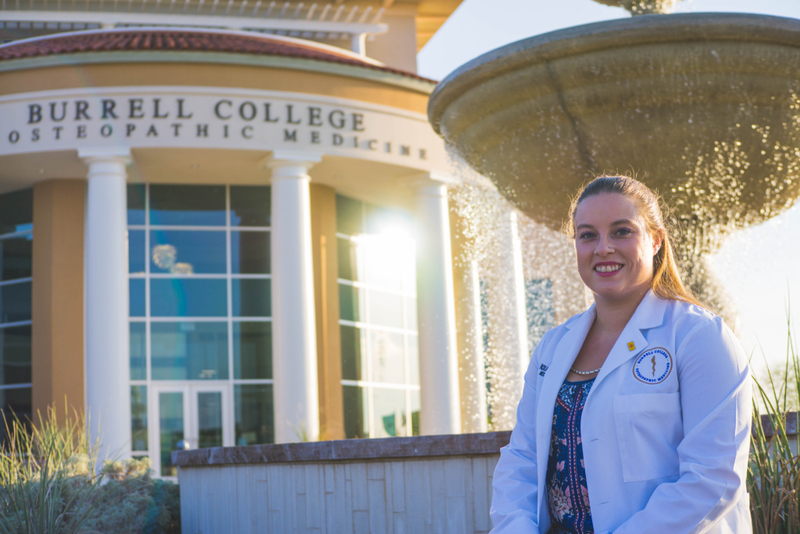 The Burrell College of Osteopathic Medicine (BCOM) strives to assure that all qualifying medical students will be financially supported as they pursue a Doctorate in Osteopathic Medicine (DO). This effort would not be possible without charitable grant and scholarship funding. Established in 2016, the Southwest Foundation for Osteopathic Education and Research (SWFOER) is a nonprofit 501(c)(3) organization. Its mission is to provide financial support to students, as well as to support medical and academic research initiatives. To learn more about the SWFOER and how you can support BCOM, contact Victoria Pineda at vpineda@bcomnm.org. There are many reasons to support BCOM and our medical students. Thirty-two of New Mexico’s 33 counties currently have a primary care physician shortage and 833,000 New Mexicans live in one of 104 areas designated as a primary care health provider shortage area. BCOM graduates will soon help combat this problem. In 2020, BCOM will graduate its first class of 150 students—releasing an army of osteopathic physicians who are trained and eager to serve the Southwest. 35 percent of the newest class of BCOM medical students self-identify with a minority group that is historically underrepresented in the physician workforce. At full operation, BCOM will infuse $77.7 million into Southern New Mexico each year. BCOM will contribute over $30 million to the New Mexico State University (NMSU) foundation to build an undergraduate scholarship endowment. This pipeline program will support students who are pursuing health science careers. BCOM is the first private-public sector partnership of its kind in the history of U.S. medical schools. Harnessing the investment capital and financing expertise of the private sector — thus saving tax payers from the financial burden — while at the same time blending, affiliating and paying for services from an existing public university: NMSU.